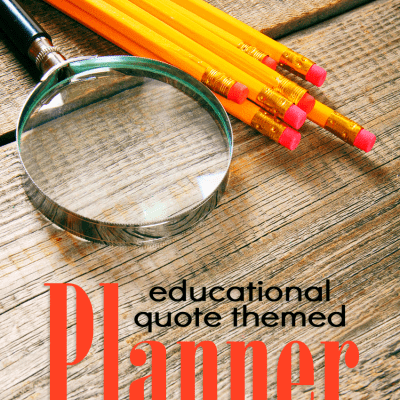 Looking for ways to make money while homeschooling? Here are some important tips from a life-long entrepreneur and homeschool mom. If you are looking for some ways to make money while homeschooling you have come to the right place! I have been an entrepreneur for much of my life and have tried multiple ways to make money from home. Some have worked better than others, so I will give you some important tips to get started. Find something that you have an long-term interest in. Take a good look at your schedule and decide how much time you have to devote to work. Get your kids involved. There is no better way to teach entrepreneurship than by doing it! Sometimes you have to spend a bit of money to make money, but start out small. You don’t need to spend at lot to get started in any of the ideas I share below. This post may contain affiliate links which means I may receive a small commission, at no cost to you, if you make a purchase through a link. All opinions are my own and I only share things I think would be helpful to you. I will share different ways I have used to make money as well as additional ideas that friends and family have used that work well. Everything shared here is totally do-able and can add to your income. There are no get rich quick ideas here. Just real ways that you can make real money from home. You may have guessed I would start with this one. After all, you are reading this article on a blog. I write a blog of my own called Brain Power Boy.com and I also have other websites. Blogging is, for me, one of the perfect ways to make money. What I love best is the flexibility blogging offers. You can choose when to work and when you need some time off. This is one of my favorite money-making ideas. Is it a lot of work? Yes! I’m not going to lie. If you want to grow and make money blogging you are going to have to work at it. However, you don’t have to do everything overnight. I started over 4 years ago and built my site up over time. I pulled together a list of the tools and resources that have helped me make money on my blog. If you follow the link above you can see everything that I use plus some tips to get you going. Getting started on the right foot is important. Blogging can be a family project and one that is not only rewarding, but can make a very positive impact on your household budget. There are a lot of freelancing opportunities out there. Freelancing is wide open and you can do most anything you can think of. Pretty much anything you can think of, you can find freelance work for. The great thing about freelancing is that if you have a skill set you can set your own hours and easily work around your homeschool schedule. Upwork and Fivvr are two good places to get started. Go browse their sites and look at the categories to see if you find something that fits your skills. Don’t discount local businesses that may be in need of your skills. Reach out and see if you can do some short-term projects for them. They may be very open to hiring you. One mom I know did flyer and brochure work for a natural foods store, another ran a restaurant’s social media, and another mom wrote for local bloggers because she didn’t want to run her own blog. We all have talents and can use them in trade for money. Do not discard simple tasks because you think no one would want to pay you to do them. Not. True. People are willing to give money to have someone do something that they do not want to do or that they cannot do. Mowing a lawn isn’t hard but many, many people don’t want to do it so they hire it out. Here is a short list to get you thinking about what you and your family might be able to offer. Gardening – sell your flowers or produce. Offer to tend someone else’s garden for a fee. Baking – bake cakes, breads, or desserts and sell them to others or at a farmer’s market. Crafts – offer classes at home, or through a park & rec dept., community college, or craft store. Or, make and sell your goods at craft shows or on Etsy. Photography – if you are good you can start a part-time business taking portraits of homeschooling families, or family pictures for others. Or, sell photos to a stock photography site. Tutoring – have a subject you know like the back of your hand? Help someone else learn it. Teaching Music – if you know how to play an instrument, and can teach it, you can make a decent income from home. I know several piano and guitar teachers who make a good living doing this. Seriously, this is just the tip of the iceberg. Use this list as a jumping off point. There are SO many different ideas. Grab a piece of paper and brainstorm with your family. I’m sure you will come up with a lot of choices. Become an online seller. I sell on eBay and I love it. For me, it is fun and easy. Like with all work at home jobs there is a learning curve but it doesn’t take long to pick it up. Both eBay and Amazon allow you to sell items online to their huge audience. There are fees involved to sell so you need to keep that in mind when pricing. To start, don’t buy anything to sell! Sell only things that are around your house. Believe me, there is likely plenty there to start with. Bonus: Homeschooling curriculum, games and supplies sell really well! One of my favorite places to learn about selling online is YouTube. Raiken Profit has a good channel which covers a lot of the basics. Another option is Craigslist, but it can be iffy depending on where you live and there are sometimes safety issues. If you choose to use it I would suggest meeting in a public place, such as in front of your local police station. I wouldn’t have anyone come to your home. You know your city, so if it is a good option for you, it is free and easy to use. If you are ok selling in person try Facebook selling groups. Google “Facebook buy sell “your city”” to find groups in your area or search within Facebook. There are usually multiple groups available. Read the rules and post your items for sale. Super quick and simple! Arrange to meet in a safe place as suggested above. No matter which way you choose to sell your items my number one tip for resellers is to take excellent pictures of what you have and take multiple pictures of the item so people can see the details. Pictures sell items. I use both of these and I easily make enough throughout the year to pay for our Christmas gifts. Both are in the form of rebates or gift cards but it is a way to add money to your pocketbook all the same. I am including these simple ways to make money for those who may not be ready to start a business from home or as extra quick cash ideas. Do your shopping through Ebates and you will get a big fat check (that is what they call it lol) in the mail or via PayPal. Think about how much you spend yearly at places like Walmart, Walgreens, Target and so on. Plus they have over 2000 online stores. Just by doing your regular shopping through Ebates you will get money back. I’m telling you, it all adds up. If you have not already signed up you can earn $10.00 with purchase by using my link. Do your shopping through them and get cash back for purchases. Just go to the site and choose the store before shopping. After you get started you can invite friends to Ebates and earn that way as well! This is an easy way to bring in some extra cash with very little effort. I have searched on Swagbucks over the years to earn points to buy gifts. It is not Google. Let me just say that right off the bat, but it is easy to use and the search results are decent. I use it if I am looking for something easy but not if I am doing research. I do not suggest doing the surveys as they take too much time and are not worth it at all. By using their search engine you earn points and can exchange them for Amazon gift cards. 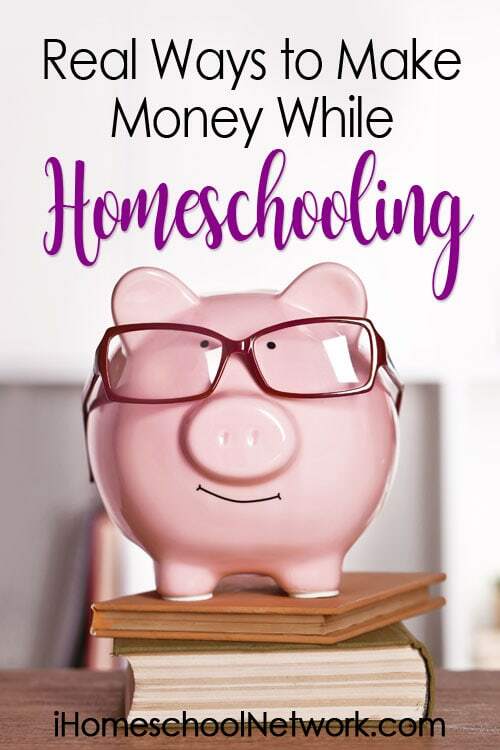 Making money while homeschooling doesn’t have to be hard. In fact, it can be rather easy. Just follow some of the links above and choose something you think you would like to do. Try it for a while and see how it goes. There are many ways you can make a good income from home. My family has multiple streams of income and every one of them makes us money. If you read this article it means you want to make money while homeschooling. The best way to do that is to take action today! If you do that one thing and keep doing it you will meet with success.